Francisco, Latin pop singer, can move back and forth between audiences, exploring new terrain with a crossover single and then returning home to the faithful with a more traditional date. I WANT YA – the new single, actually offers something for all of his widely varying audiences. The song is an amazing performance, boasting Spanish guitar but also a few biting latino chords, a deep bottom end for dance fans, and a yearning, romantic vocal with an army of brass. He breaks out with some subtle vocal production and also sounds great! The video locks the listener in front of screen for its entire duration. The feeling is that the artist soon take flight towards the high ranking of Latin music. No matter what language you speak. The music reaches your heart and leaves a lasting feeling. Striking songs and a raw honesty that is instantly perceptible. 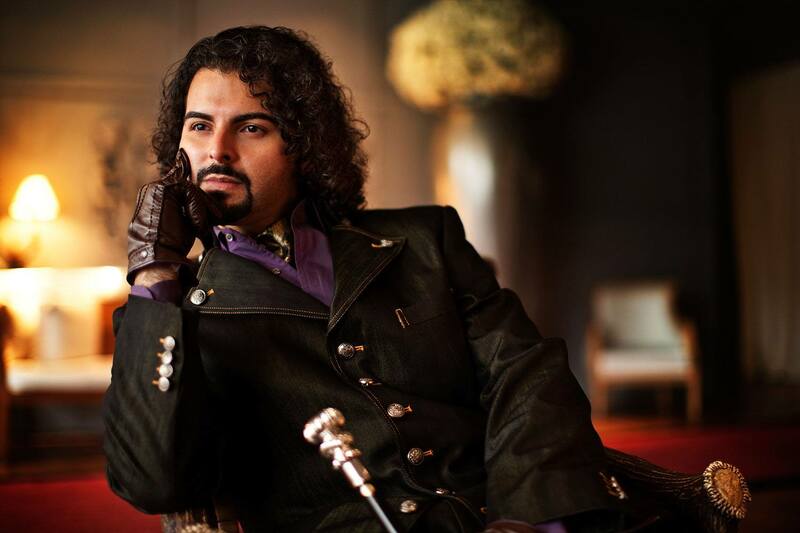 The song take you on a journey of truth and romanticism beautifully orchestrated. Just rich music. Great atmosphere, relaxing and lovely. The masterful voice of Francisco adds a certain charm to track. You feel his passion and his soul. Wonderful melodies with a classic flavour , upbeat, very romantic that bring you a smile to your face and make you feel good. All in all, if you are looking for a latino/romantic atmosphere, this Artist is definitely for you. Francisco revealed himself to us through a work honest and authentic. The Latin-Pop explosion of the late 90’s was a solid shot-in-the-arm for audiences all over. This eclectic and energetic genre was finally getting it’s due, thanks in part to artists like Ricky Martin and Julio Iglesias. 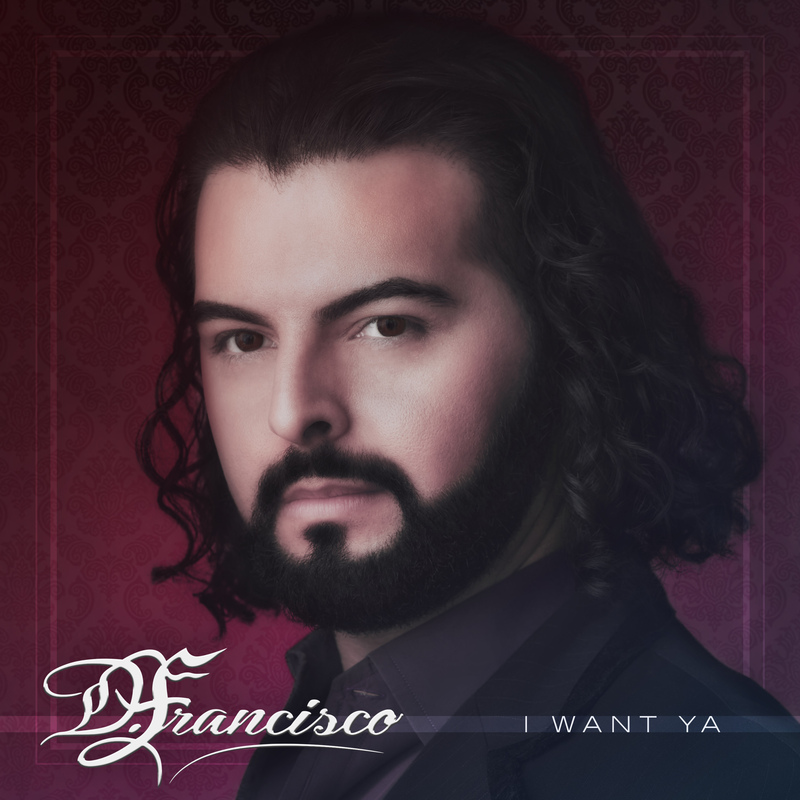 Fast forward to 2016, and we present to you D. FRANCISCO and his new single “I Want Ya”. It has all of the dance energy of the best Latin-Pop, but also incorporates twists reminiscent of more classical artists such as Josh Groban and Andrea Bocelli. While so many new artists create much hype yet have little substance to back it up, D. FRANCISCO has spent a lifetime perfecting his craft behind-the-scenes. His background consists of years of diligent training; starting with private instrumental lessons, moving to touring internationally with the celebrated Phoenix Boys Choir, and culminating with an opera internship in Rome, Italy. Using these skills as a solid foundation, he has turned his attention to making his own music, with his own twist. Not limited to any one genre, D. FRANCISCO pulls from Pop, Latin, Opera, and even elements of EDM. It’s all about the song and whatever fits. For his debut single, he’s pulling out all of the stops – “I Want Ya” jukes & jives, and overall has an arc of prolific musicianship that spans front to back! Plus, but he’s also dropping versions in both English and Spanish! The “I Want Ya” music video is a sizzling number that heats up quick, and burns hot until the very end. It’s set in a darkened club with a group of high rollers seated around a small table, and they’re playing a very big game of poker. Chips and dollars abound – it’s clear that the stakes are high. As D. FRANCISCO and his band light up the stage, a buxom new participant, dressed in all white, enters the match: Ana Carla Sinclair. Known as a contestant on The Voice Mexico, she takes a seat, portraying quite the foil to the sultry hostess and attending waitress, dressed in a sizzling black and red outfit, played by renowned dancer Nayara Nuñez. As the action ensues, a coy game of eye contact and knowing glances are exchanged by D. FRANCISCO, Nayara, and Ana, although it’s unclear exactly who is on which side. Eventually, Ana runs the table with the supposed “pros” while Nayara explodes onstage with her brilliant dance. Though she may have a furtive plan in place, D. FRANCISCO discreetly disarms her, and executes a plan of his own on the way out the door!